"Make Delicious Homemade Cookies Just Like Grandma Used to Make!" "Your House Will Soon Be Filled With Those Wonderful Aromas That Will Take You Back To Yesteryears At Grandma's House!" These delicious cookie recipes have been lovingly handed down from generation to generation. Many of these delicious homemade cookies even date all the way back to colonial times! These are the hard to find precious gems your grandmother has carefully tucked away in her recipe box. I know you have struggled to find these recipes, and may not have been able to do so. Until now. Fabulous Old-Time Cookies contains easy to follow cookie recipes for many old favorites. Discover how simple many of those delicious cookies are to make! Fabulous Old-Time Cookies has many favorite cookie recipes your kids will love. What better way to have fun with your kids than an afternoon in the kitchen making these delicious homemade cookies! Fabulous Old-Time Cookies contains many homemade cookie recipes you won't find anywhere else. You would spend many hours and probably a lot of money trying to recreate Grandma's recipe collection. Now these delicious homemade cookie recipes are all together again for one low price! Fabulous Old-Time Cookies is formatted for ease of use. How many times have you taken an expensive cookbook into the kitchen only to sprinkle it with flour or drip egg all over it? Another fine book ruined! Now you can simply print the recipe you need and keep your expensive cookbooks out of harms way. Fabulous Old-Time Cookies is jam packed with extras like cooking tips, food trivia and more! Learn how to add that special touch that made Grandma's homemade cookies so delicious! Fabulous Old-Time Cookies contains 228 favorite recipes from generations past. Included are many recipes from around the world. All are in an easy to read format with each recipe on its own page for easy printing. PLUS, the book is just jam packed with cookie tips, food trivia and quotes to make your cookies even better. Now you can make those fabulous old-time cookies just like grandma used to make! Fill your house with those delicious aromas that bring back childhood memories! Look at all the great recipes you get! Cookies have a long and colorful history. You may find looking through old cookbooks confusing. What are tea cakes, biscuits, Jumbles, tarts, Plunkets, Cry Babies? These are some of the many names these Heirloom cookies go by. 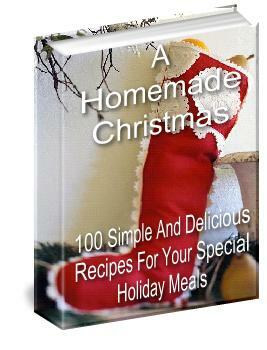 Note: These are only some of the 228 incredible homemade cookie recipes in this cookbook! even more world class recipes! Look At What My Readers Say! Thanks for the fantastic cookbook! The cookie recipes took me back to my Grandma's kitchen sitting on a stool peering in the oven window waiting anxiously for a warm cookie on a cool day as Grandma told me stories of when she was a girl helping in her grandma's kitchen. in such a wonderful collection. Now, I will have them to share with my grandchildren one day with stories of yesteryear. that they thought was only a childhood memory. Your book, Fabulous Old-Time Cookies, is a home run, Shane! What a delicious delivery of a magnificent idea! The recipes in Fabulous Old-Time Cookies are for some of the most delicious cookies I have ever tasted or seen! The irresistibly delicious cookie aromas flooding the house from the kitchen, however, have caused a problem. If there is such a thing as drooling on an eBook, I've committed it. Not only do the recipes produce the most delicious cookies on the planet, the background information you included is intriguing. Furthermore, the tips sections really help those of us who are not yet accomplished cooks. Thank you for the information on butter and margarine by the stick instead of by the tub. How disappointed I would have been had I not known that. Thank you for the discussion on baking soda and baking powder and the ways to tell if they were still "good." And the section on the chemistry of cooking by itself is worth the price of the book. I know this has been a labor of love and has taken a lot of time to bring forth. It has been worth the wait. No matter what you charge it isn't enough. No reader will be disappointed. Everyone who enters the kitchen should have a copy of Fabulous Old-Time Cookies and should buy a copy for everyone they love! I can't wait for your next one, Shane! Please keep me on your list to announce it. Shane, I've got to have Fabulous Old-Time Cookies right now! Grab 5 Of These Fabulous Recipes FREE! email box? Sign up today. It's Free! What Makes This Cookbook So Special? These are original homemade cookie recipes. Many of the recipes in Fabulous Old-Time Cookies are not easily gotten elsewhere. You are more likely to find these recipes in your grandma's recipe collection than anywhere else. This cookbook is formatted for ease of use with each cookie recipe on its own page. This makes it easy to print out one recipe at a time. Don't mess up your expensive cookbooks in the kitchen! Simply print out the recipe you need and take that one page to the kitchen with you. This cookbook is designed to take you instantly to the recipe you want. Who wants to scroll through 140 pages to get to the recipe you want? Not me. In Fabulous Old-Time Cookies one click takes you from the front directly to the cookie recipe you want. Plus there are 2 additional indexes which will let you choose cookie recipes by event or the ingredients. This is a great timesaver when it comes to selecting what to bake! You get more than just a list of homemade cookie recipes. Fabulous Old-Time Cookies is loaded with tips, trivia, and quotes to make your baking even better! You may find yourself reading this cookbook just because of all the extras in it! activity to bring us closer together. Your book is so well organised I had no trouble at all finding what I wanted. Just click and I found it. more crossing my fingers and hoping it turns out fine at the end. cookie combinations to match various activities and festivities. one's quality of life for my life coaching clients. This cookbook is lower priced than many of the big, glossy books you will find in your bookstore. You don't even have to waste your time going to the bookstore. This cookbook is downloaded instantly to your computer. I am my biggest fan! Many of these recipes have been personally tested in my own kitchen. You also get my notes and pictures of my results. After looking at it I'm sure you'll agree its worth every penny you paid and then some! You would spend hundreds of hours and a lot of money trying to find all the heirloom cookie recipes gathered in this one book! 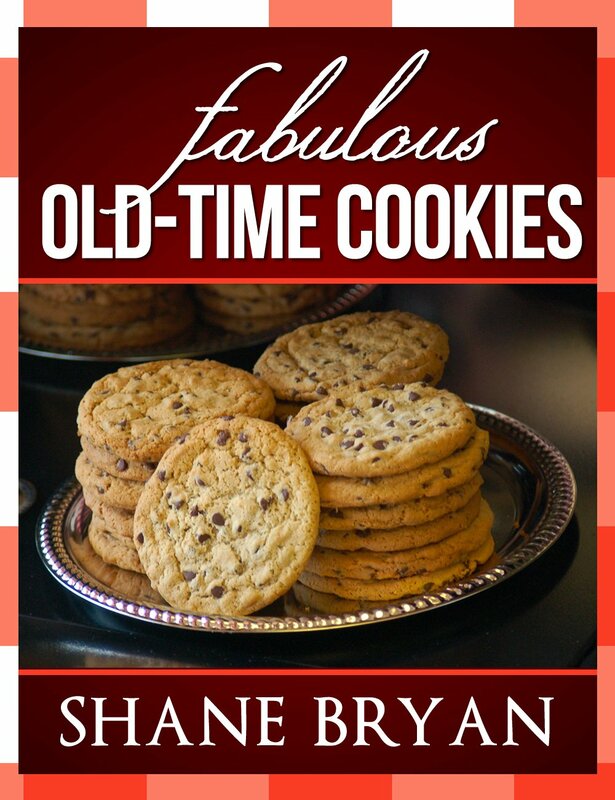 Shane Bryan's new cookbook, Fabulous Old Time Cookies, is one that you must have. Cookie making is almost a lost art. I know of no better way to cross the generation barriers than to bake a batch of cookies. The joy of seeing little hands mixed with grandmother's hands in a heap of dough and flour is supreme. I love cookies. I love Shane's book--it's one we all need. Even if we don't bake Shane's cookies, we will enjoy learning the history of the different types of cookies, as we develop an appreciation of the cooks who bake. Reading this book can help us deal with the stress of modern life. Cookies are truly comfort food, even if we don't eat them. Thinking about them can be enough; but I confess that when I think about these cookies very long, I am compelled to bake a batch! Fabulous Old Time Cookies reminds me of some of the happiest times of my childhood, when my mother and I used to bake cookies. The book will remind all of us of what is good and wholesome in our homes. Cookbook collectors need this book, which is an updated classic. No matter how many cookbooks you may already have, you need Shane's book. He has presented a collection of mouth-watering, old fashioned cookies with beautiful pictures and helpful hints. He and his sister Barbara have tried these recipes and taken the photographs. The neat notes at the bottom of each page tell about how to simplify the process of baking the cookies. His special instructions guarantee success. He has included fascinating information, sometimes about the history of the cookies and sometimes about the evolving process of using certain ingredients. Shane has taken a classic idea and applied modern technology to give us an e-book about cookie making. We can print only the pages we need. When we spill butter and flour on our recipes, we can discard them and print more. Don't miss the opportunity to own this book! Convenience - find the cookie recipe you want, print it out, and take it to the kitchen. No more messing up your expensive cookbooks while cooking. Easy Search - looking for that particular cookie recipe? Just let your computer search for it using keywords. Space Saving - save some room on your bookshelves for your other favorite books. Lasts Forever - you will never lose it because it's stored on your computer. Fully Indexed - You can use our table of contents to see what looks good and then jump from one homemade cookie recipe to the next without having to scroll through over 100 pages. Customer Service - If you have any trouble at all with the download process, I will make sure you get access to your book. My customers are my business! Look at all these extras! You get Fabulous Old-Time Cookies, packed with 228 delicious homemade cookie recipes and tips. PLUS, you will get all these extras packed into this book! Multiple indexes so you can choose your cookies by event or ingredients on hand. More than 182 cooking tips, quotes and food trivia bits throughout the book to make your baking experience even better! This recipe book is great. It is packed full of great tasting cookie recipes. It also has lots of great tips that have helped me out a lot in my baking. I found myself reading through this book just to see what tips, quotes and trivia came next. Thanks, Shane, for putting out such a great book! If you respond right away, you pay only $27.95 $17.00. Now Only $9.97 For The Christmas Holidays! Order Fabulous Old-Time Cookies Right Now! Homemade candy is a year-round treat, but it's especially delicious during the holidays. 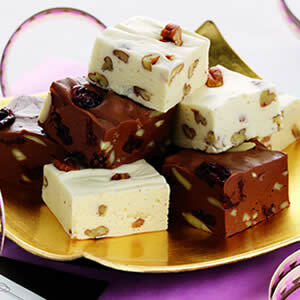 Stir up sweet family traditions in the kitchen this season with these delicious homemade candy and fudge recipes. Helping grandma make candy used to be the highlight of my holidays! Now I continue the tradition with my own family and these delicious homemade candy recipes. Like Grandma Used To Make: Over 300 Old-Time Recipes! Wish you could relive some of those wonderful childhood memories of Grandma's cooking? Grandma didn't even need to read a recipe or use a measuring spoon...she just somehow "knew" what the right amount of ingredients were. That's what makes Grandmas so great! Don't you wish you knew how to cook like that, to smell the pies baking, to taste the delicious cookies again? Well now you can! Your satisfaction is assured through our no risk, you-can't-lose, 100%, no-questions-asked, iron-clad moneyback guarantee. If for any reason, you aren't thrilled and satisfied with our product, just contact us within 90 days and we'll refund 100% of your purchase price. No hard feelings. What I'm saying is, don't decide now if this homemade cookies cookbook is right for you. Just get it and try it out. If it doesn't do everything I say and more, if you don't save money, time and frustration, if it isn't life-changing, if it doesn't work for you, you have nothing to worry about because you can get every dime of your money back under our no-loopholes guarantee. So you have nothing to lose and everything to gain. P.S. Remember, you'll get the Fabulous Old-Time Cookies eBook plus my special bonuses all for an introductory price of only $17.00 $9.97!. Order today to lock in your price of $17.00 $9.97 - don't miss out! This price could go back up at any time! P.P.S. Before long I will be selling the bonus cookbooks separately. Get all four cookbooks now and save big! P.P.P.S. Remember I offer a cast iron 3 month guarantee, which ensures you take NO risk. Should you feel Fabulous Old-Time Cookies is not everything I say it is and more I will give you you money back and let you keep the bonuses. Get product reviews, cookie recipes, baking tips and more coming right to your email box? Sign up today. It's Free!